(AP) NEW YORK - The founder and outgoing chairman of Best Buy (BBY) announced his resignation from the board Thursday and said that he and may sell off his 20.1 percent stake in the beleaguered electronics retailer. It's the latest news to hit the Minneapolis company facing increasing competition from online retailers and a CEO scandal, and it removes one obstacle for a possible private equity takeover of the company. Shares fell nearly 8 percent in morning trading. Richard Schulze, 71, has been with the company since its inception in 1966 and it its largest shareholder by far. The second largest holder, Fidelity Management & Research Co., has a 6.9 percent stake in the company. "There is an urgent need for Best Buy to reinvigorate growth by reconnecting with today's customers and building pathways to the next generation of consumers," Schulze said in a statement. "Accordingly, I have shared my views with the Board and today informed them of my decision to resign as chairman and a director, effective immediately, in order to explore all available options for my ownership stake." He initially announced in May that he would step down on June 21 at the company's annual meeting after an investigation found he knew that the then CEO Brian Dunn was having an inappropriate relationship with a female staffer. At the time he said he would remain as chairman until after the company's annual meeting on June 21 and as a director through the 2013 annual meeting. On Thursday, he said he would walk away from both of those positions, effective immediately. Best Buy said Hatim A. Tyabji, currently chairman of the audit committee, will replace Schulze as chairman immediately, rather than after the annual meeting as previously announced. "Schulze is an iconic entrepreneur, and the board offers its deep appreciation for his enormous contributions and service as Best Buy's founder and chairman," the board said in a statement. Schulze willingness to sell its stake removes a major obstacle should any private investment company seek a bid for the company, said Morningstar analyst R.J. Hottovy. "The fact that Schulze is open to exploring alternatives makes Best Buy a more feasible takeover target," Hottovy said. But the company is seeking a new CEO, a process expected to last six to nine months, so it might not be the right time to seek out a bid, he added. "I think they'd prefer to remain public and independent at this point," Hottovy said. Best Buy is facing increasing competition from internet retailers and discount stores as the so-called "big box" model of retail becomes outmoded. It is trying to combat the so-called "showrooming" of its stores - when people browse at Best Buy but purchase electronics goods elsewhere. In order to combat this, Best Buy has been shrinking store size and focusing on its more-profitable products such as mobile phones. In April, it announced a major restructuring that includes closing 50 stores, cutting 400 corporate jobs and trimming $800 million in costs. But recent quarterly results show it has a long way to go to turn around results. In its most recent first quarter revenue in stores open at least 14 months, which excludes the impact of stores that open and close during that period, fell 5.3 percent during the quarter. 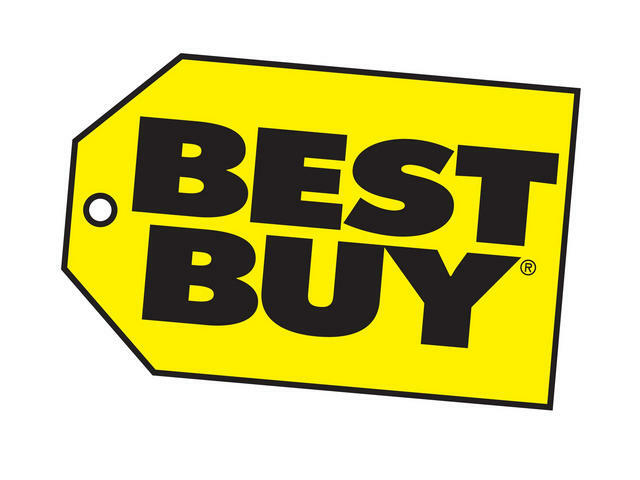 Shares of Best Buy Co. Inc. slid $1.55 to $18.34 in morning trading. The stock is down 18 percent since the beginning of the year.